VA - Luxury Soul 2019 | Free eBooks Download - EBOOKEE! The leading independent soul label Expansion Records commences each year with one of the labels most anticipated collections. The success of the series comes down to the quality of tracks sourced from independent soul music artists, often unsigned or with recordings previously unissued or on limited release elsewhere. Included on this unique collection is an exclusive Incognito production for Indonesian artist Dira with guest appearances by the group on music from Maysa, Inner Shade, Diplomats of Soul, Kloud 9, and Russian singer Olga Makovetskaya. Also exclusive to this release on CD are tracks by Marc Evans, Zed Soul feat. 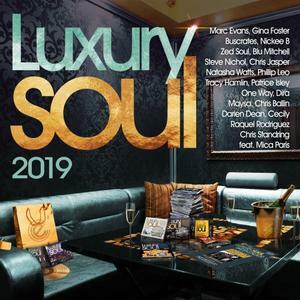 Rose Vincent, Tracy Hamlin, Boogie Back, Patrice Isley, Victor Haynes and something brand new from legendary group One Way feat. Al Hudson. No comments for "VA - Luxury Soul 2019".